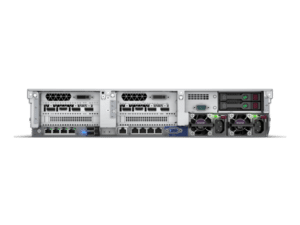 The HPE ProLiant DL385 Gen10 878714-B21 AMD EPYC server is ideal and customizable for your Digital Transformation Applications : Web Server, Firewall, DNS, Security Appliances, Network Infrastructure, Minimal-Downtime Cluster Server, E-mail Servers, Big Data, Internet of Things (IoT), Machine Learning, Artificial Intelligence (AI) and general Data Center Virtualization &amp; Cloud Infrastructure Applications. Please select GPU Options below. Maximum 3 GPUs can be installed. Please select of the same type to avoid any conflicts. 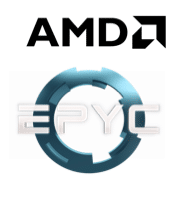 System ships with 1 CPU. Please select kit for 2nd CPU. The kit comes with 16GB ECC Reg memory for 2nd CPU. System comes with 1 Power Supply Module. Please select kit for 2nd Power Supply for redundancy. 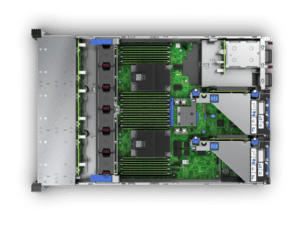 Warranty : 3/3/3 – Server Warranty includes three years of parts, three years of labor, three years of on-site support coverage. Additional information regarding worldwide limited warranty and technical support is available at: http://h20564.www2.hpe.com/hpsc/wc/public/home. 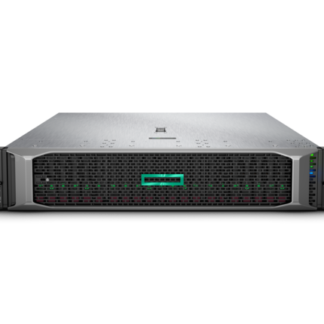 Additional HPE support and service coverage for your product can be purchased locally. 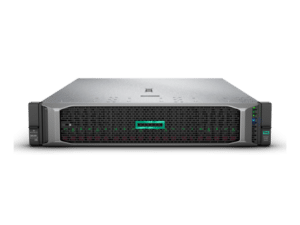 For information on availability of service upgrades and the cost for these service upgrades, refer to the HPE website at http://www.hpe.com/support.